Here it is: my monthly favourites list! All the products I loved and used the most last month. It doesn’t mean I bought them last month or that I only used them then, but these are the ones I used more than any other products. In fact, that’s an all year love. I just adore this eye shadow primer. Since I have tried it I can’t change it with another eye shadow base. Absolutely on my must-have list!!! 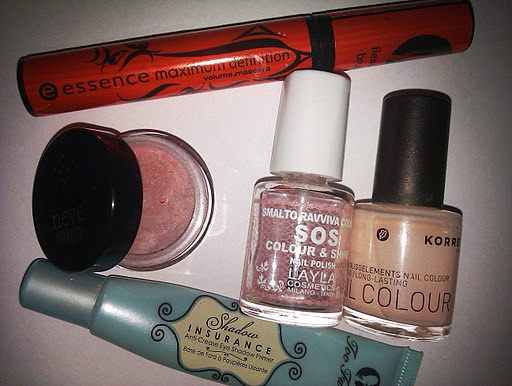 In this period I don’t want coral nails or ”summery” colours nor dark nails. So, this pastel is ideal for me. Elegant and chic, lasts enough for not being worried to have my nails done every two days… Oooh! If you want to read my review, it’s right HERE. I am not a nail polish addict and I didn’t use a special top coat since last year. This one is amazing! It keeps my nail polish perfect for more that a week!! !I will review it as soon as possible. I finished this little love so I am not going to use this on October. 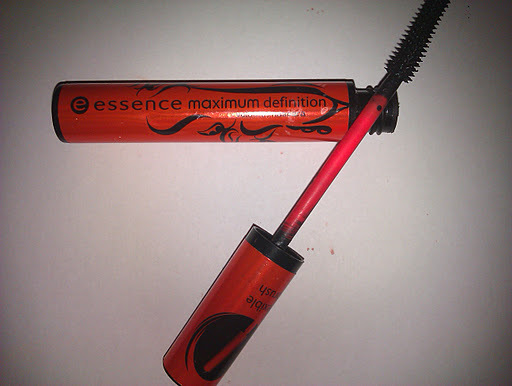 I didn;t expected much from this mascara that costed me less than 3€. But it was amazing!! !Long and well separated lashes, volume, and an amazing lasting! What else should a mascara have to become my little love? A warm and sweet shade. Even if it is an eyeshadow, you can use it even as a blush. 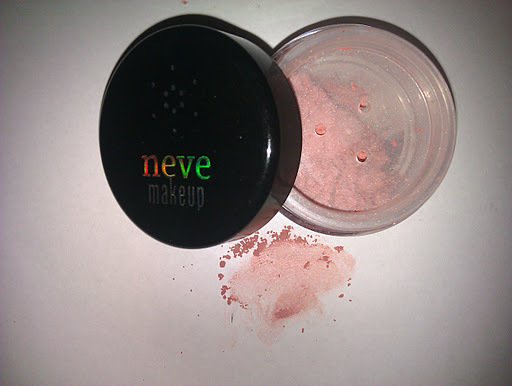 It is one of my first products that I am trying by Neve Makeup, an italian brand of mineral makeup! I will review it as soon as possible, promise! What were your most used products during September? Oooh, I like all your favourites! I should try Shadow Insurance! And the eyeshadow looks such a sweet and nice shade! I got it at the Beauty Festival last April. I heard about Hondos,too, but never see them around and when I asked them they had no idea! If you are not going at the beauty festival, I think we must ask Natalie(nataliesbeautyland.blogspot.com) where to buy them! She knows better and she buys essence really often! yeap! I like it especially for my natural makeups!!! 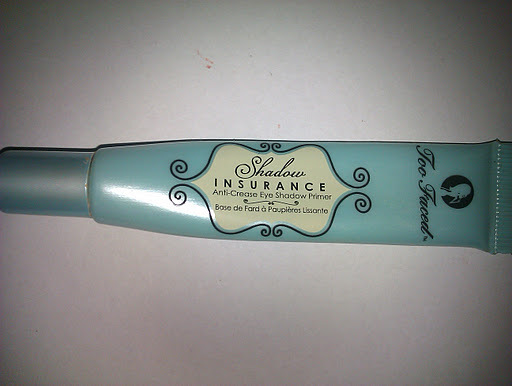 Shadow insurance is playing in my mind as soon as my UDPP has finished I think I would try the Too Faced. Where can I find Neve e/s this pink is very sweet! Demi the link is http://www.truccominerale.it. But they do not spend in Greece. I aill tweet you now 'cause there is something you can do!